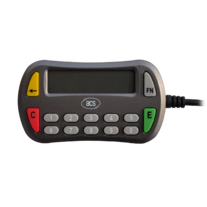 ACR83 PINeasy is a USB reader featuring a keypad and a display screen. Supporting Secure PIN Entry (SPE), ACR83 limits both PIN entry and authentication within itself, thus eliminating the exposure of sensitive information to PCs or workstations, which are vulnerable to security attacks such as Trojans and USB sniffers. 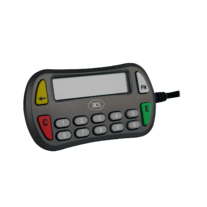 Small enough to fit in the palm of a person’s hand, the ACR83 PINeasy PIN Pad reader is one of the smallest in the market. Along with its size comes a simple but highly secure authentication process. 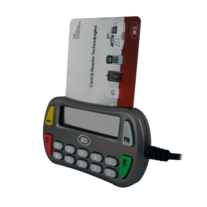 One only has to connect the reader to the PC via USB port, insert a smart card into the reader, follow the command on the LCD, and enter the PIN code. Additionally, the ACR83 PINeasy is compliant with major computing, banking and safety standards, making it a device that you can truly trust. So waste no more time and gear up with ACS today for tomorrow’s security!